Practical nursing is a great career if you enjoy caring for others. A licensed practical nurse caters to the needs of sick, convalescent, injured, and disabled members of society. While they work independently, they must conduct their tasks under the supervision and guidance of a registered nurse or licensed physician. To become a licensed practical nurse in Washington, you must complete a state-approved training program and pass the NCLEX licensing exam. The Department of Health also requires candidates to demonstrate good moral character and complete special AIDS education and training to provide safe and competent care at hospitals, nursing homes, and other public health facilities. As an LPN, you can provide general care, working in numerous areas of healthcare. With specialized training in a specific area, such as home health care, geriatrics, dentistry, or pediatrics, you can increase your earning potential. Your duties as an LPN will depend on the work setting and might include taking vital signs, patient and family education, collecting samples for routine tests, and provide basic patient care or treatments. After accumulating a few years’ experience, you can advance to the position of a charge nurse to oversee other LPNs and unlicensed medical staff. Practical nursing programs prepare students to practice within the legal scope of practice under the supervision of a registered nurse or physician. Graduates learn essential concepts and skills that will help them succeed on the NCLEX-PN and become licensed nurses in Washington. The practical nursing course work includes theory presented in a lecture/seminar format and skills presented in a simulated lab. A supervised clinical experience at community health facilities provides valuable hands-on and real-world experiences for students. Classroom topics include human anatomy and physiology, college algebra, general psychology, developmental psychology, childbearing family, introduction to health deviation, pharmacology, development of the caregiver role, introduction to nursing and health care system, medical-surgical nursing, mental health, nursing trends and issues, and transition to practice. Washington nursing students must complete a minimum 7 hours of AIDS education and training. Clinical activities are an integral part of the practical nursing education. During the clinical phase, students demonstrate the competencies learned in the classroom and lab while under supervision at hospitals, long-term care facilities, and other clinical sites. The clinical practice provides valuable life lessons and opportunities for students to improve their skills by working with experienced healthcare professionals. At the conclusion of the training, students are prepared to use their newfound skills to prevent illness and restore health and meet patients’ physiological, psychological, spiritual, and social-cultural needs. For admissions to the program, applicants should complete the prerequisite course requirements, complete the TEAS test, provide two professional recommendations, and pass a criminal background check. Other schools may require students to complete Washington State CNA certification, AIDS/HIV education, and CPR certification. Students accepted on a provisional basis will need to pass a drug screen, present immunization records, obtain medical and dental clearance, and possess liability insurance. Graduates are eligible to take the NCLEX-PN for state licensure. The Department of Health makes the final decision on the graduate nurse’s eligibility to take the exam. Duration and Cost of Training: The estimated program length of 12 to 15 months (4 quarter semesters) is based on full-time enrollment. Part-time programs are 15 to 21 months. Development and general education courses required for entry into the nursing program will add additional time to the program completion. The average cost of tuition in Washington is $18,900. Students must budget for uniforms, lab coats, stethoscope and gait belt, shoes, blood pressure cuff, background check, CPR certification, state Board fees, immunization, liability insurance, HIV/AIDS training, textbooks, and miscellaneous fees. Paying for college is a challenge for many students. Financial aid may help to relieve the burden of paying for college. Contact the school’s financial aid officer to discuss options for financing your education. To become an LPN, you need to obtain a license from the Department of Health. After graduating from a state-approved nursing program, you must pass the NCLEX-PN as a final step to licensure in the state. The computer-based national licensing exam is a product of the National Council of State Boards of Nursing that is designed to test your knowledge, skills, and abilities essential to the delivery of safe and effective care. Pearson Vue is the testing service that administers the exam on the NCSBN’s behalf. You can register for the test online or by phone (1.866.496.2539). Pearson Vue requires a valid email address, which you must provide to receive vital communications. The Candidate Bulletin outlines the steps for registering for the exam. Have a credit card or debit card on hand to pay the $200 registration fee. The Department of Health will confirm your eligibility to take the exam with Pearson Vue after you submit a completed application, fingerprint cards, application fee, and confirmation of education. The testing service will send the Authorization to Test (ATT) to your email address after the Board confirms your eligibility. The ATT contains essential information to schedule an exam date. Make sure to schedule the exam and take the test within the validity dates. The identification that you take to the testing center must match the information on the ATT. Exam results are available within 2 to 7 days. The Board will deliver your license if you pass, or a Candidate Performance Report and an application packet to retake the exam if you fail. You can register and pay for the exam immediately, but you must wait at least 45 days before re-testing. It is unlawful for a person to practice or to offer to practice as a licensed practical nurse without a valid license issued by the Washington State Department of Health. The Department requires graduate nurses and out-of-state LPNs to submit an application on a Board-provided form, pay the applicable fee and initiate a criminal background check as part of the application process. 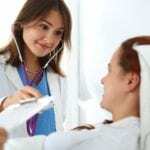 Once the Department deems the candidate eligible and issues a license, he or she may use the title “licensed practical nurse” and the abbreviation “L.P.N.” No other person may assume the title or use the abbreviation to identify as a licensed practical nurse. A graduate nurse who wants to take the NCLEX-PN for the first time should complete the application for initial licensure by exam. Candidates must be graduates of an approved nursing education program, in Washington, another U.S. state or territory, or a foreign nursing program. A completed License Practical Nurse Application for Licensure by Examination. Include your social security number, legal name, birth place, birth date, and contact information. The $88 application fee using a check or money order payable to “Department of Health.” The application fee is non-refundable. A written explanation, certified documentation referencing the question, or copies of court records if you answer “yes” to any personal date questions. Your application will be considered incomplete if you answer “yes” and do not provide the accompanying documents. Details of your current or completed nursing education. Indicate the degree/certificate/diploma earned and graduation dates. Request an official transcript from each program from the school’s registrar. The transcript should be delivered directly to the Department of Health. If you graduated from an approved Washington State nursing program, the director of nursing would send an electronic certificate of completion to the Department’s office after you complete the program. Fingerprints for a criminal background check. Request the Department of Health fingerprint card, which will contain instructions on how to complete the process. A completed AIDS Education and Training Attestation. AIDS training may be obtained through formal programs or self-study courses and must be at least 7 contact hours. Applicant’s attestation. Sign and date the application to indicate that you read and understood the section. Your registration for the NCLEX-PN. Submit your registration for the exam on Pearson’s Vue website. The Department will issue a temporary permit if you meet all the licensing requirements pending the completion of the criminal background check. An Education Verification form completed by the school. The director of nursing should complete, sign, and date the form and return to the Nursing Commission office along with your official transcript indicating the degree earned. Evidence of English proficiency for graduates of nursing schools outside the U.S. Graduates from Canada, Ireland, United Kingdom, Australia, New Zealand, and commonwealth Caribbean are exempt from this requirement. Acceptable proof of proficiency is a total score of 79 with a speaking score of 26 on the TOEFL or a total score of 6.5 on the IELTS. Evidence of completing the Personal Vocational Relationship Course (PVR) which is required for licensure in Washington State. Licensure by endorsement is available for LPNs, who hold a current, active nursing license in another jurisdiction. A completed License Practical Nurse Application for Licensure by Endorsement. Include your social security number, legal name, birth place, birth date, and contact information. Verification of license by examination. Register with Nursys and follow the directions to verify your original license if your state of licensure participates. Sent the Non-NURSYS Verification form to the licensing agency if the state does not participate. Request the agency to complete the form and return directly to the Department of Health. There may be a fee to process the verification. Verification of Education by way of an official transcript from the nursing education program if the licensing agency cannot verify your education on Nursys or on the Non-NURSYS license verification form. Proof of English proficiency if you graduated from a nursing school outside the United States. Proof of a current/active LPN license if your license from your original state is no longer current or active. LPN licenses expire annually on the license holder’s birthdate. The Board will mail a courtesy renewal notice to your last known address. However, you don’t need a renewal notice to initiate your license renewal. You can mail the renewal fee of $96 with documentation of your name, license number and current mailing address to update your credential. LPNs need to complete 45 continuing competency hours and 531 practice hours every 3 years. The Department selects 5 percent of LPNs for random audits. You must provide evidence of completing the continuing competency and practice hours if you receive an Audit Notice. The job outlook for LPNs is a bright one. In the United States, employment for LPNs is projected to grow by 25% through the year 2022 – a growth rate that is faster than the average for all occupations. The long-term care needs of the senior population and the overall increase in demand for healthcare services are the primary reasons for the rise in LPN employment. 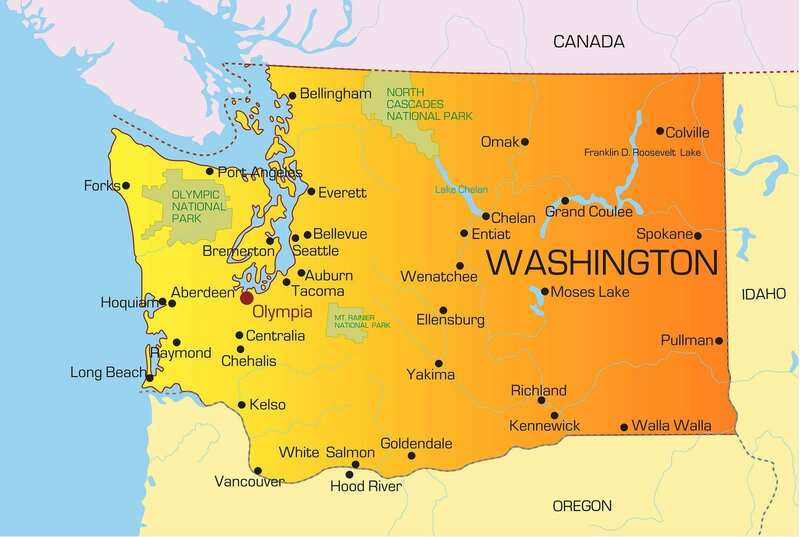 According to the Bureau of Labor Statistics, there were $7,550 LPNs employed in Washington in 2014. A career as an LPN is an appealing option for anyone looking to enter the healthcare sector in the shortest time possible. Anyone with a clean criminal history, a high school diploma, and a desire to help others can enroll in a nursing education program and become a licensed nurse in just 12 months. The training requirements are not as complex as the requirements to become a registered nurse, so practical nursing education serves as a good point of entry into the industry. After obtaining a license from the Department of Health, a licensed nurse can branch into other areas with further education. LPNs can become registered nurses, nurse anesthetists, nurse practitioners, or midwives. The clear path to advancement is appealing to some, but many others spend a lifetime basking in the joys of being a practical nurse. Newly licensed nurses in Washington find gainful employment within 6 to 12 months. Employment opportunities for new nurses are available primarily in long-term care facilities, nursing homes, and home health care. The industry is riddled with rumors relating to the lack of opportunities for LPNs in hospitals. While there has been some decline in employment, opportunities are available to experienced nurses who diligently seek them out. New nurses can increase their chances of employment if they are open to practice in rural and medically underserved areas and non-traditional areas, such as insurance companies, correctional facilities, schools, and physicians’ offices. The median hourly wage for Washington’s LPNs is $23.33, and the yearly mean wage is $49,220 according to the BLS. Is there any online school for an RN? I heard that’s not true. Brandy Gardner You should try it.